So, I have a ‘webfolio‘. Put together by Contently, it shows off some of my articles in a pretty attractive way. Basically this translates as – ‘I’m looking for work’. Anyway, all the best for 2015! Bringing together two bona fide legends – be it horror, or not – of American literature and cinema, Arrow Film’s collection of Six Gothic Tales does a sterling job of bestowing a lasting and restored beauty to this entertaining box of treasures. 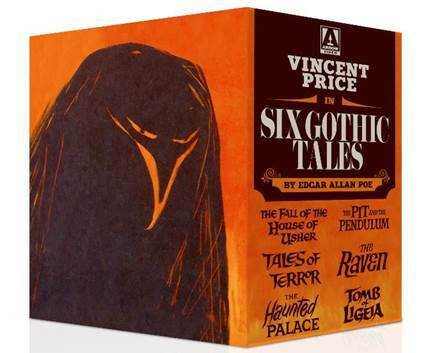 Bringing together Vincent Price’s ever quizzical frown and often demoniacal grin with some fine Poe-tic adaptation work from legendary fantasy, horror and sci-fi writer Richard Matheson, this box-set is the ideal companion for those long, winter nights so beloved of the 19th Century New England master of the macabre. There are a few things that can be counted on with these evocatively treated tales of mystery and Gothic splendour. One is that Vinnie will cast a frown of tortured inner pain that treads the fine foot-path between hammy and otherworldly. 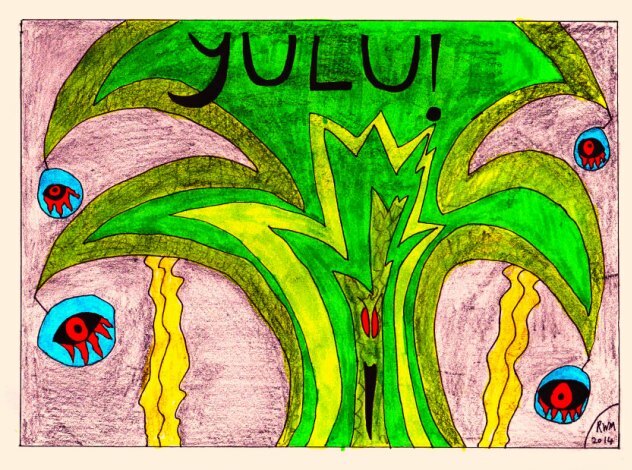 Another is that there will be some early 60’s style hallucinatory credits or dream sequences somewhere along the line. And, without giving away any spoilers – if such a thing is possible for stories over 150 years old – there will be a burning house somewhere near the end. As someone who grew up with the stories of Poe, there is something oddly comforting about seeing the familiar brought back to life in such high definition. Like a re-animated corpse bristling with extra intensity and material (and hell’s teeth, there certainly is a cavernous range of bonus features in this set), the melding of the dreamlike mystery plots of Edgar Allen Poe with Corman’s devotion to pushing budgets to their absolute limits and a commitment to entertainment over all else, this set is evidence of the very best in pulp-horror fiction. 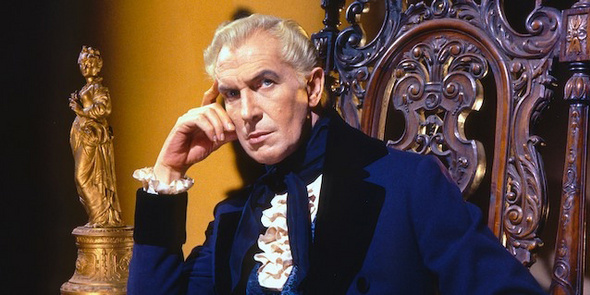 This striving for popularism over all else is certainty no criticism, rather, it is high praise indeed, being as it is a celebration of the high camp and early 60’s excesses prevalent in the fantasy and horror genres of the time. So invite a few friends over, dim the lights and cross over to the other side with these four masters (I’m including Matheson as well). 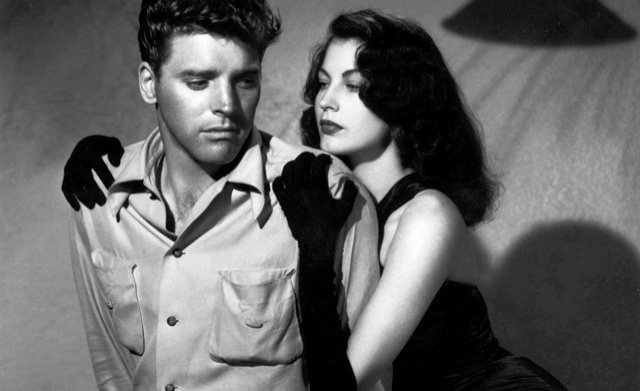 My review of Robert Siodmak’s The Killers is over at Flickering Myth now and also appears below… the Blu-ray is available now from Arrow Films. . . Taking a classic Ernest Hemingway short story and expanding it to include a full variety of twists and turns, this crime drama directed by German émigré Siodmak was one of the originators of the film-noir genre. Starting off with the professional murder of its main star (Burt Lancaster, in his cinema début) is an ultra-modern approach to this whodunnit. A feast for fans of guess the outcomes, the motivations and fixations of the film’s main players are delicately balanced, and as a whole the piece benefits from a collection of superbly poised performances. Lancaster brings a haunting quality to his role as ex-boxer tuned gangster Ole ‘Swede’ Andreson, with a bleak, doomed outlook to his final moments at the heart of the story. Matched to his almost existential levels of mis-fated action and endeavour is Ava Gardner’s tough femme fatale Kitty Collins. It is their story, mostly told through dreamy flash-backs, that contains most of the dramatic elements of the film. It is also her, that brings insurance investigator Jim Reardon (Edmund O’Brien) and city cop – and the Swede’s old friend, Sam Lubinsky (Sam Levene) into the mystery. With so many changes in direction throughout the story, it would be a deadly shame to reveal too much of the actual plot. Suffice to say that noir-style crime projects and deadly dealings are littered with broken promises and, in the Swede’s case, a broken punching hand (and worse). The essentials are that it keeps the audience guessing, always with a dramatic outcome. Also, and I could be wrong about this, but it must also be one of the few films to include an insurance investigator as its main hero. This historical element is of an extra interest. Back in 1946, while Europe was nursing its post WW2 wounds, in the USA huge insurance companies could apparently afford to write off vast sums of money. This turning point in world superpowers is an extra element worthy of discussion, although perhaps not when being gunned down by gangsters. In any case, the film is a classic example of a complex crime drama, pitted with tension and suspense. And it could be so much worse. Or begin to start a curse. Is only for the brave. 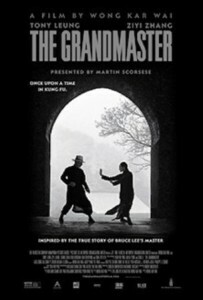 My review of Wong Kar Wai’s stunning The Grandmaster is over at Flickering Myth and also appears below. Wong Kar Wai is a film-maker gifted with a true sense of creating a luxuriant depth of visual detail married to a philosophical highlighting of universals that can cut across genres and standardised models of cinema. His best known film In The Mood For Love is a memorable ode to fate and destiny, crafted and contrasted in the most balletic and joyous modes of scene making. The follow up, 2046 took a science fictionesque framing of these themes and delivered them in a stunning collection of striking visual forms. Coupled to both of these film’s attractive visual coordination and stimulation were scripts and stories with a strong dose of the mysterious and the magical. A dreamlike atmosphere was key to the both film’s success, and helped to seal Wai’s reputation as one of the world’s most innovative and insightful of auteurs. 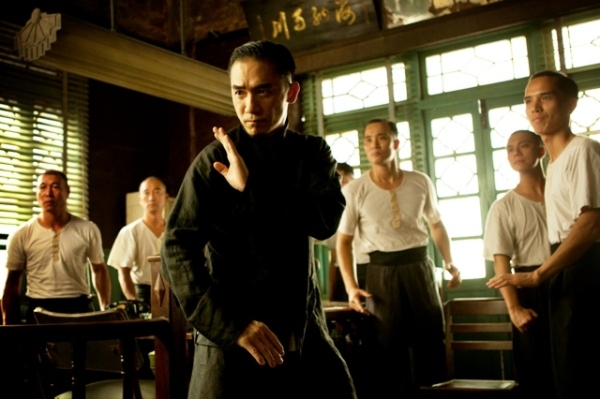 The striking visuals are certainly in evidence in this biopic of the kung-fu master Ip-Man (Tony Leung), even if some of the storytelling elements are a bit more on the clunky side. The man who went on to train Bruce Lee clearly led an extremely rich and full life as the film displays in all its finery. It occasionally veers off course and sometimes resembles a scrapbook of memories without much of a complete plot. This is more of an observation than a criticism, in any case. Occasionally the fight-scenes – and it is the choreography and the artistry of these segments that truly make the film stand out from the Kung-Fu crowd – blow any misgivings about such rudimentary things such as story and script out of the water. They are truly that good. When witnessed on the cinema screen with the swelling strings of the orchestral soundtrack blasting out of the speakers, it could probably inspire a few star-jumps and somersaults on the way home. But perhaps that’s just me. .. The plot as it is then, is based around the memoirs of the kung-fu legend Ip-Man, spanning two centuries and the fall of the last Chinese empire and the rise of the Republic. There is a chaste and effective love-story and rivalry involving the master and Zhang Ziyi’s noblewoman martial artist, which takes in some of Wai’s obsession with duty, honour and pre-determined fate. Apart from that it is mostly a question of beautifully choreographed fight scenes. Making use of Yuen Yo Ping, the choreographer behind such well toned films as The Matrix, Kill Bill and Crouching Tiger, Hidden Dragon, the film’s central trio, Leung, Ziyi and Chang Chen all look as though they can handle themselves incredibly well. 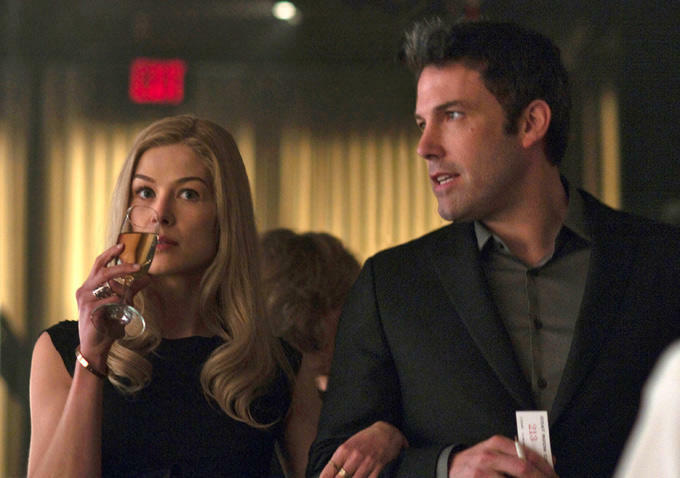 A film that brings the ruckus in pure style, then, a bit like a fight after a high society dinner party. Bava’s original Italian release with the Hitchcockian inspired title takes in a far darker sense of impending dread and horror. 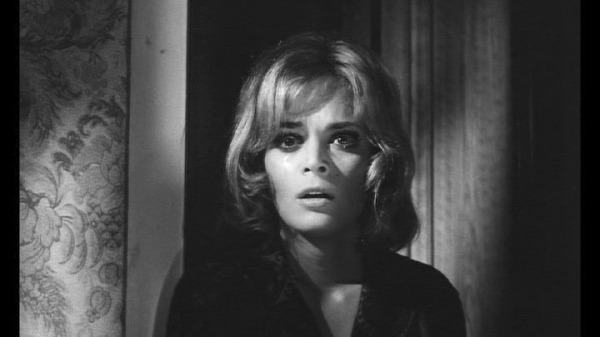 After all, as the excellent extra features from various genre experts inform us, this title can in many senses be seen to be one of the first true giallo films, mixing elements of murder mystery with the modish cinematography and stylistic elements that would go on to inspire the next generation of blood-red drenched dream weavers. The other take on this story is the re-edited and re-dubbed American release, complete with a voice-over and a far greater impetus placed on the romantic element of the story. In effect, the two films offer a very different feel. Personally I felt that the original Italian cut fares much better in treatment that the American one, and there are some truly disturbing sequences. What’s more is that Letícia Román’s Nora Davis character is far stronger, more of a daring private investigator of teen fiction style than the somewhat more doe-eyed counterpart presented in the American take.